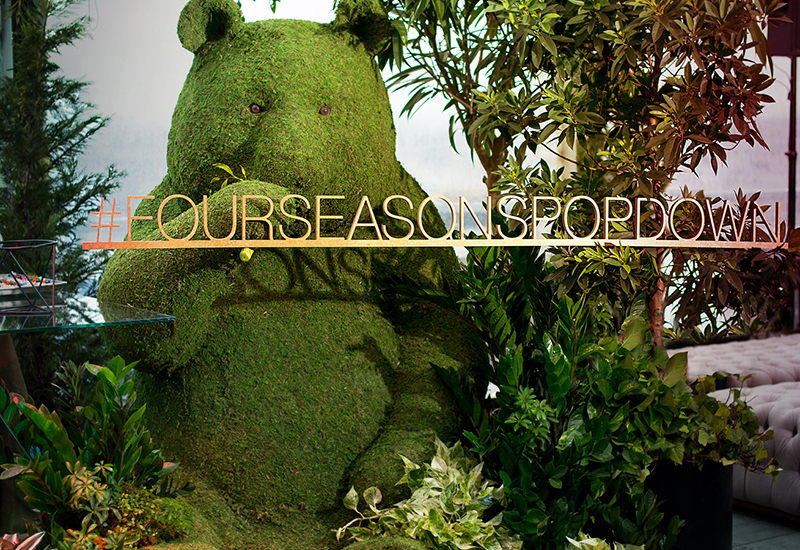 Four Seasons ‘popped down’ in unexpected places to engage consumers. The Four Seasons with its sumptuous spaces and services may seem out of reach for some consumers. But to share its experience and talented chefs and mixologists with a broader range of consumers, Four Seasons created Four Seasons Pop Down, a series of installations in high-traffic areas of major cities, designed to inject a Four Seasons moment into the everyday lives of consumers—offering them a quick visit or “pop down” with the brand. The second leg of the program took place Sept. 22-25 in Philadelphia—home to the new Four Seasons Hotel Philadelphia at Comcast Center, set to open next year. The series initially launched in Toronto during the Toronto International Film Festival in 2017. It continues in Miami this December, and Hong Kong in March 2019. The Philadelphia program involved four large-scale floral installations created by celebrity floral artist Jeff Leatham at the 30th Street Amtrak Station, Passyunk Triangle, Comcast Center and the Philadelphia Museum of Art, next to the city’s famous Rocky statue. 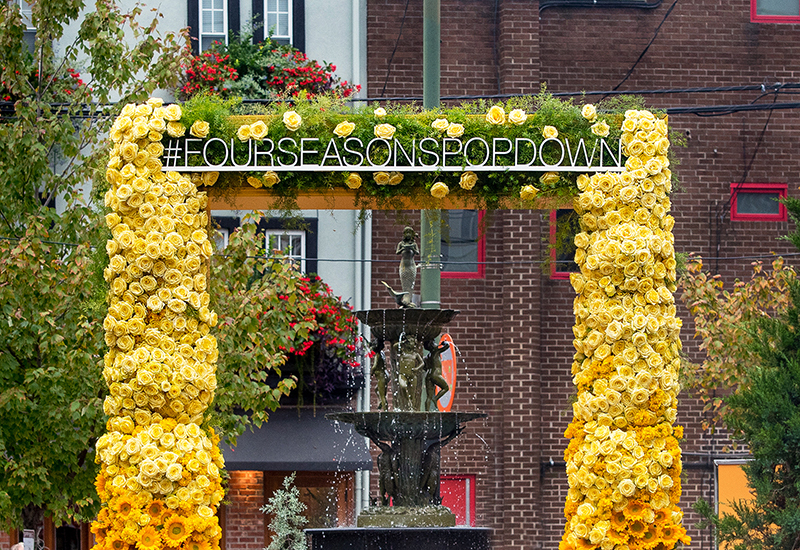 Calls to action drove consumers to share their images of the installations with #FourSeasonsPopDown. 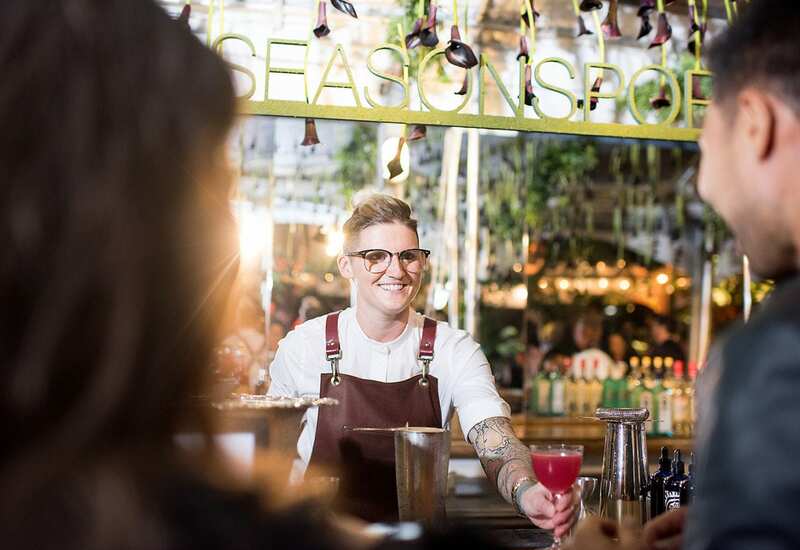 On Sept. 25, the program culminated with an influencer event at BOK in Philly, an event for VIPs, influencers and media, featuring “master craftspeople” from Four Seasons properties and resorts all over the world, who showcased their original creations in the culinary arts and mixology. This included artisans who will also be part of the permanent team at Four Seasons Hotel Philadelphia at Comcast Center: Michelin-starred Chef Jean-Georges Vongerichten, local Chef Greg Vernick, hotel executive Chef Maxime Michaud, and Leatham, who was recently announced as artistic director of the upcoming hotel. 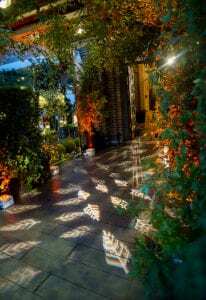 When attendees arrived, they were guided to the rooftop of the venue, which was transformed from top to bottom by garden accents. Local Philadelphia artist DJ Jazzy Jeff (best known for his collaboration with actor Will Smith, “The Fresh Prince”) curated the evening’s soundtrack. Attendees snapped photos with life-like moss creatures while sampling food and enjoying the Philadelphia skyline—including the silhouette of that new Four Seasons hotel. “To hear people use the phrase ‘pop down’ as if it’s common nomenclature now is really exciting, because one of our objectives was to develop some ownership over the term, so to see people at our events asking, ‘When’s your next pop down going to be?’ and to see media coverage describing the cleverness of the pop down and throw it around as if it’s kind of similar to a pop-up is really exciting for us,” Tuite says. Agency: HL Group, New York City. 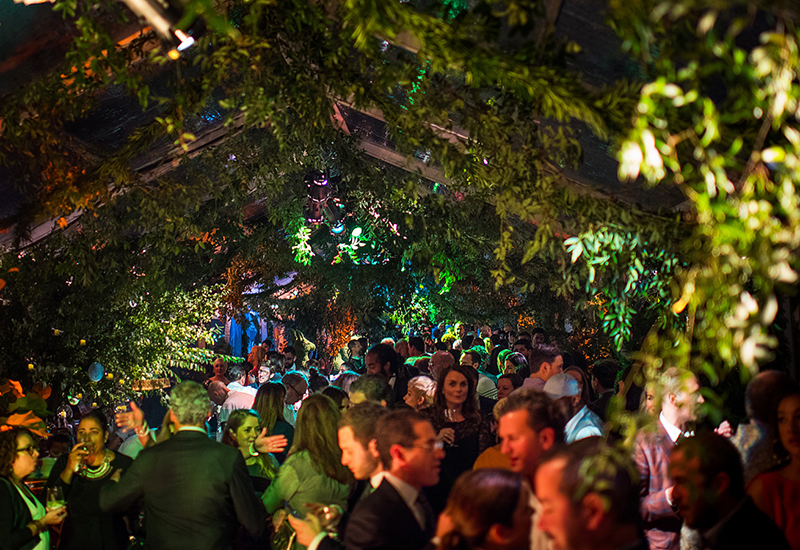 Attendees snapped photos with life-like moss creatures while sampling food and enjoying the Philadelphia skyline. The Philadelphia event venue featured a rooftop that was adorned from top to bottom with garden accents. Four large-scale floral installations were created by celebrity floral artist Jeff Leatham at the 30th Street Amtrak Station.